Machado homered before being removed on a wet day, Adam Jones hit a three-run double and Baltimore rallied past the Texas Rangers 6-5 Sunday. See photos. 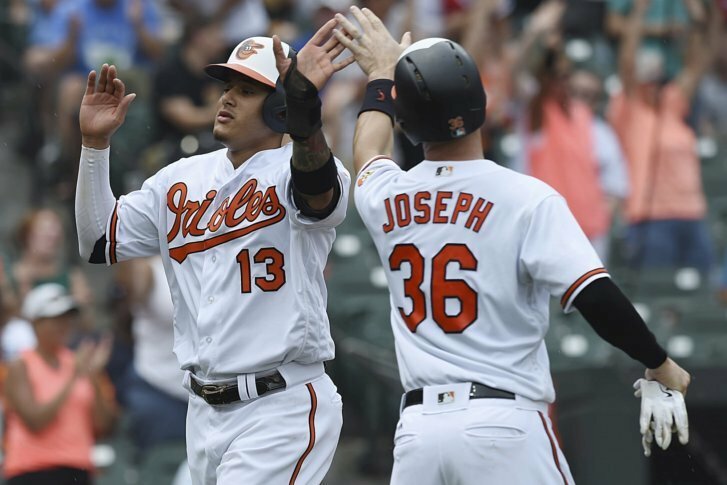 BALTIMORE (AP) — For well over six seasons, Manny Machado’s value to the Baltimore Orioles has been solely his ability to hit and play the field. Choo opened the game with a walk, extending to 51 his single-season club record streak of games reaching base via a hit, walk or HBP. … Texas’ Delino DeShields went 0 for 3, stretching his hitless drought to 28 at-bats. … Jones snapped a 1-for-16 skid with his third-inning double.